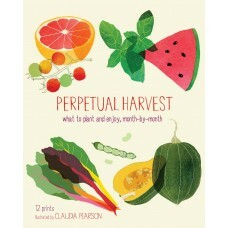 This perpetual harvest calendar in the form of twelve gorgeous prints is useful and beautiful to look at all year long. 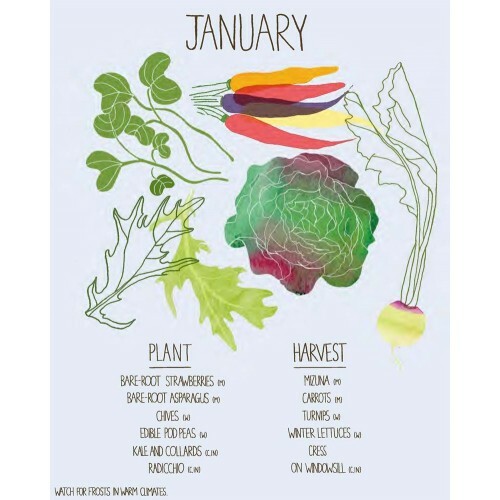 The individual prints, one for each month of the year, feature artist Claudia Pearson's sweetly illustrated produce and lists of what to plant, harvest and look for at the farmers' market each month for warm, mild and cold climates. The prints can be displayed individually or as an eye-catching set for the season.